This file support two units “mm” and “mil”, it is followed the PCB unit setting. In order to support multiple languages, BOM and Pick and Place files (CSV file) are UNICODE encoded and tab-based. 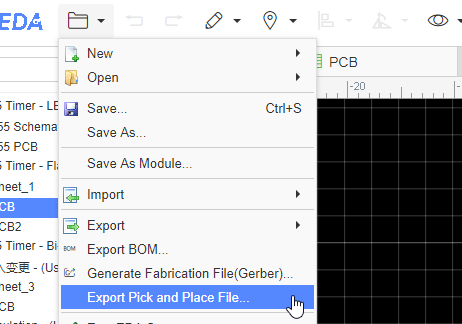 If the CSV file cannot be read by your components vendor or PCB manufacturer, please convert the encoding and change the delimiter.